Heddon Spooks come in many forms. They all walk-the-dog and share the same basic shape, so how do you know which one to use? How about taking the word of the No. 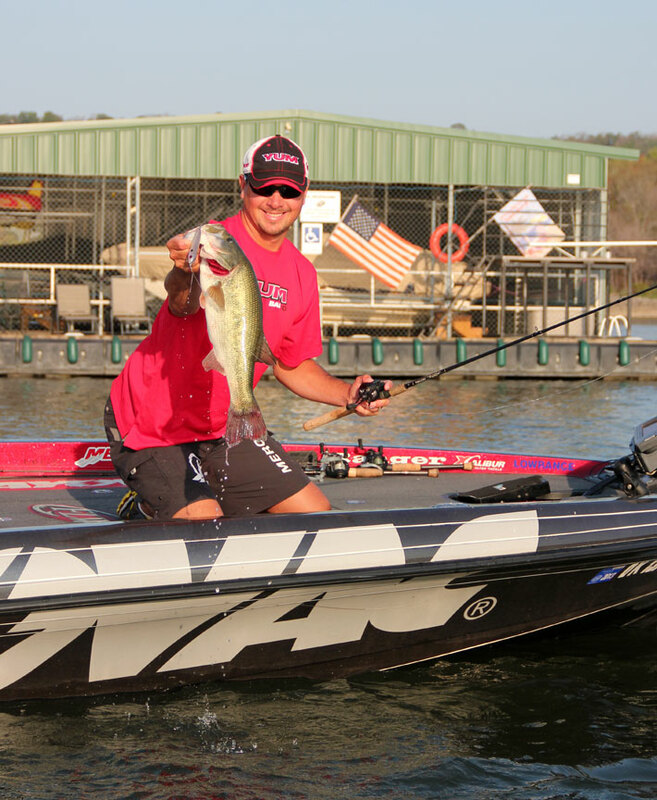 1 bass angler in the world? For two-tour pro Jason Christie, a Spook can come into play virtually any time. It’s his go-to during the post spawn and again in fall when shad congregate near the surface. During fall, Christie considers a Spook an all-day lure, and says it often performs best in the middle of the day. Christie acknowledges that there are subtle difference in the various Spook models that make one the right lure to maximize your catch. Here’s what he says about each style and model. When you need a chugging splash to imitate bass running baitfish and a steady walking motion to make fish follow and attack, a Chug’n Spook is the only way to go. It also features a big tungsten ball in a rattle chamber, and the result is a serious noise-maker that draws the ire of bass and calls them from far away. “I like the Chug’n Spook when it’s really windy, creating a chop, and I need that extra splashing to draw the fish,” Christie said. A Super Spook is half an inch bigger than a Zara and armed with an extra, third treble hook. For Christie, a Super Spook earns a place on the starting team when the shad are extra large or when he knows he’s fishing around heavyweight bass. The Super Spook Jr., meanwhile, measures 3 ½ inches and commonly comes into play when the forage is smaller or the fish are a bit fussy. Feather Dressed Super Spook Jr. The Super Spook Jr. also comes in a Feather Dressed version, with a feather on the back treble. For years, pros in the know did their best to keep quiet about tying feathers onto trebles, a modification that can be real difference maker in clear-water settings and when the fish are relating heavily to shad. However, when enough pros catch enough fish by doing the same thing, the secret doesn’t remain a secret. As word spread, demand grew until Heddon added the Feather Dressed Super Spook Jr.
Rhythmic and loud, a One Knocker Spook stands out because of a single tungsten ball that travels inside a chamber and makes a distinctive knocking sound with every side-to-side step. Neither silent nor rattling, the One Knocker Spook really shines when the topwater bite is strong, and a lot of fishermen are walking Spooks. The majority of time, the One Knocker Spook is Christie’s go-to. Like the One Knocker Spook, the Rattlin’ Spook is all about sound. A rattle chamber filled with tungsten BBs makes this Spook talk loud as it walks, drawing fish from distances and enticing strikes from fish that won’t attack a silent walker. It’s also effective in murkier water when the fish need more help locating the lure. Profile and weight are the same as an original Zara Spook. A Wounded Zara Spook has the same body as an original Zara Spook, but features front and back propellers that create a unique disturbance. The wounded version’s side-to-side motion is less pronounced than that of most Spooks, but it still walks notably, and it sports the same classic profile. 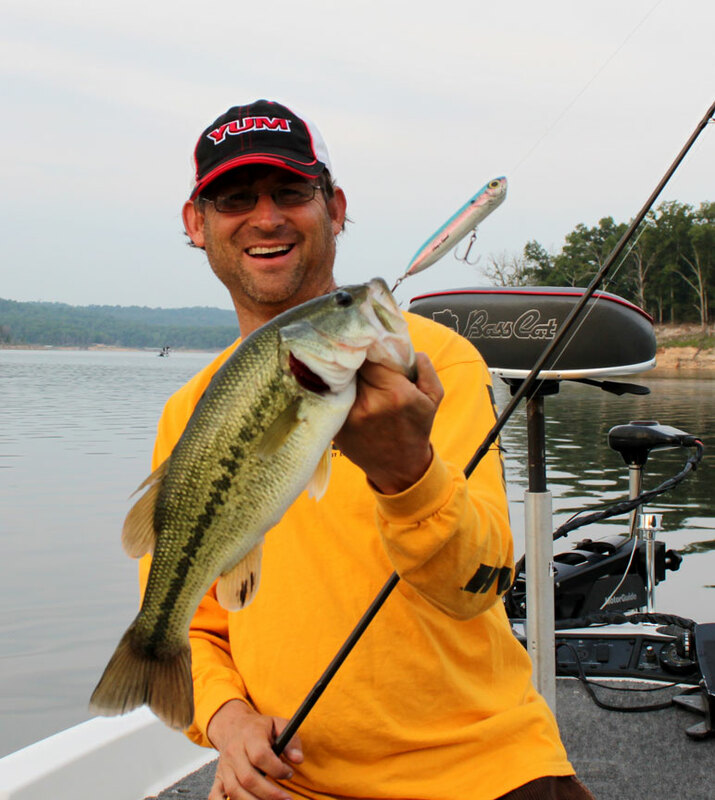 The addition of props fore and aft allow the angler to create a big commotion without the bait moving too far away from the fish or promising cover. 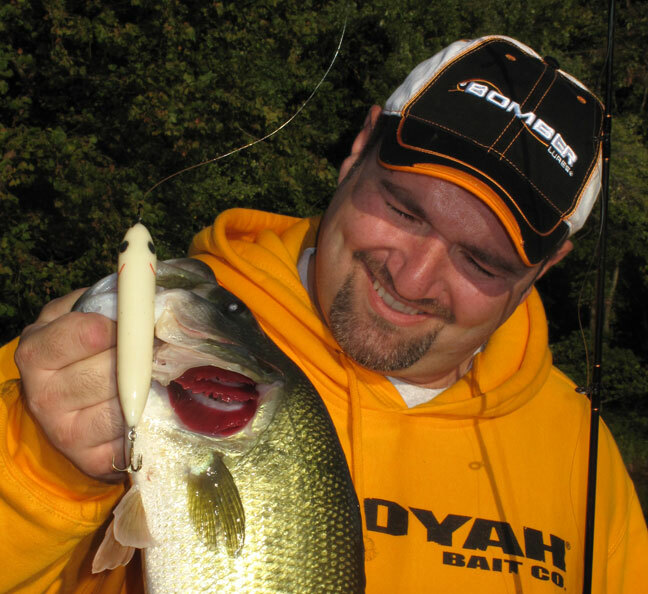 Key times for fishing the Wounded Spook are early prespawn, when bass are targeting bedding bluegills or any time they are holding tight to specific cover or structure. If you ever step into a smallmouth stream or fish small ponds with light tackle, you need a few Puppies in your box. A Zara Puppy walks just like the big dog, but it is only 3 inches long and is more-narrow, so it offers a smaller profile and a more-subtle appearance. Stream specialists tend to favor Clear puppies for extra clear water. Weighing in at only ¼ ounce, a Puppy lends itself best to a spinning rod and 6- or 8-lb test. Moving from a pup to a full-grown pitbull, XT versions of the Zara Spook, Super Spook and One Knocker match the originals except that that they are armed with 3X strong, super-sharp hooks and heavy-duty saltwater grade hardware. The primary bass application is in tidal waters where salt threatens to corrode standard hardware, and when any given attack can come from redfish, jack crevalle or other saltwater fish. The XT is also the Spook of choice any time you’re targeting voracious predators such as muskies, peacock bass or various saltwater species. This entry was posted in Articles on March 18, 2014 by dhopper_admin.